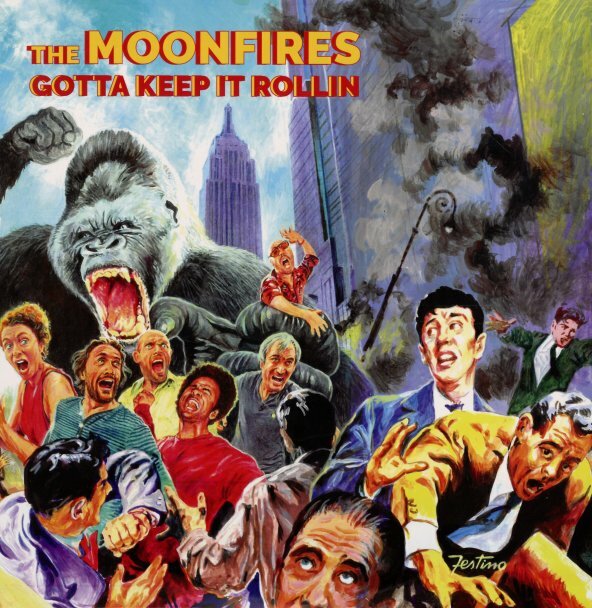 The Moonfires better keep it rolling, given that they're being chased by a giant ape on the cover – but with the mighty Alex Puddu on guitar, they can't help but take off and soar! The album's got that great commitment to classic cinematic funk styles that we've always loved in Puddu's music – but also features vocals in the lead on most numbers, which makes the tunes feel a bit mod soul numbers – mixed with a few others in a deep funk mode. There's lots of cool keyboards in the group – and titles include "Thunder Road", "Weekend Pleasure", "Woman", "Gotta Keep It Rollin", "Funky City", "Voodoo People", and "Soul On Fire" – plus a nice version of "Are You Man Enough" from Shaft In Africa. © 1996-2019, Dusty Groove, Inc.